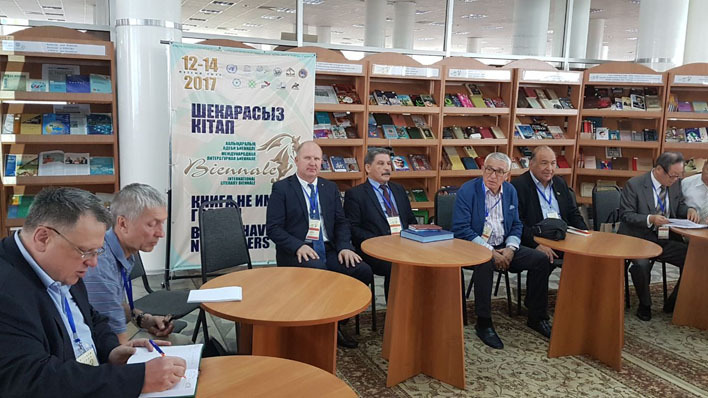 The National Library of the Republic of Kazakhstan, Almaty, Kazakhstan, hosted the opening ceremony of the International Literary Biennale on June 12, 2017. The International Literary Biennale is organized as part of a series of cultural events dedicated to EXPO-2017. The Biennale was held under the theme "The influence of writers on the spiritual horizon of society. Sustainable development of the world. 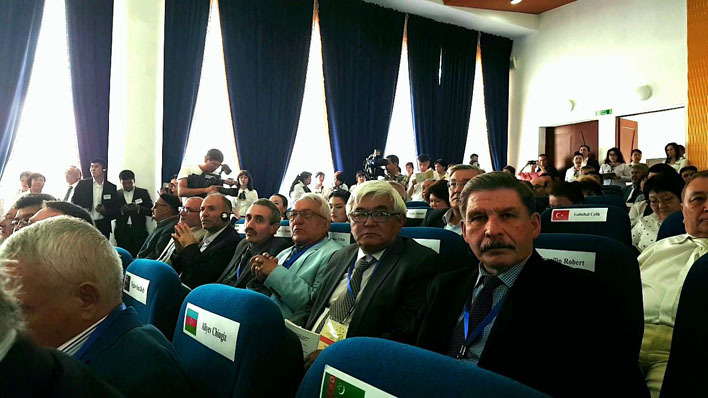 More than 40 foreign guests from 24 countries took part in the event. The Biennale became a platform for international literary exchange, where respect for the diversity of world cultures and equal debates between authors of different countries was recognized as an important aspect. 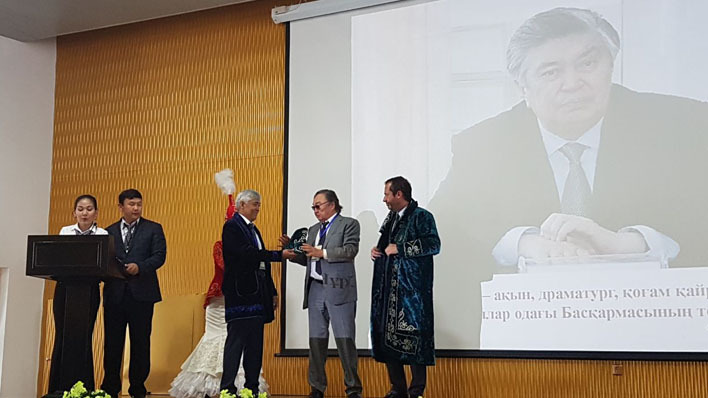 The Biennale showed Kazakhstan as a model of a society in which people with different national cultures and mentality live in harmony and peace for many years. During the 3-day biennale, a series of round tables, seminars and conferences opened the doors for readers, librarians and writers to exchange visions for the next 15 years to build knowledge societies. The theme of sustainable development was raised by representatives of international organizations and supported by participants. The Presidential Administration of the Republic of Kazakhstan, the Office of the Prime Minister of the Republic of Kazakhstan, the Ministry of Culture and Sports of the Republic of Kazakhstan, the Ministry of Foreign Affairs of the Republic of Kazakhstan, the Ministry of Culture of the Republic of Kazakhstan, the National Commission of the Republic of Kazakhstan for UNESCO and ISESCO, the Office of the UN Department of Public Information, and the Honorary Chairman of the Republican Movement “Ak Orda” Kairat Satybaldyuly supported the Biennale. 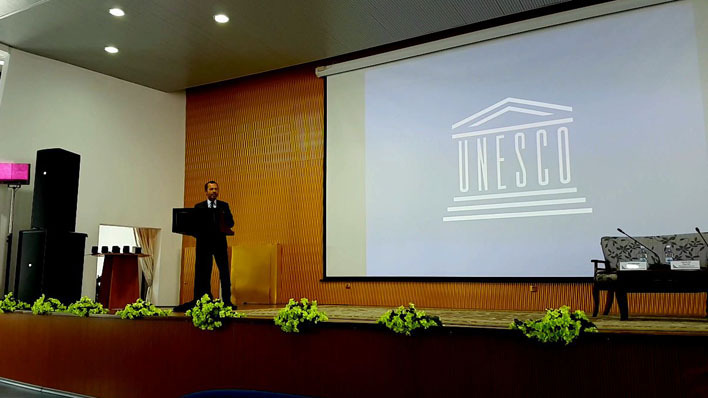 Aspects related to the Memory of the World programme and its functions on documentary Heritage Preservation discussed with UNESCO as well. For more information, please go to https://nlrk.kz/page.php?page_id=23〈=1≠ws_id=4016.